The Democratic National Committee announced Wednesday it will sponsor a "Black Lives Matter" town hall. This is a fantastic opportunity to highlight the specific differences between Democratic candidates' stances and records on racial justice. All of the current Democratic candidates have announced their support for the movement. But politicians talk a lot, and voters of color want to know exactly what their future president will do for them. Participants at the "Black Lives Matter" town hall should ask candidates policy-based questions that are specific enough to sway voters. The time for talk is over: We know what the problems are. Now let's change our laws to truly push the U.S. toward equality. At the Democratic debate, candidates were asked an excellent question: "Do black lives matter, or do all lives matter?" All the candidates except now-withdrawn Jim Webb answered in support of the Black Lives Matter movement. (As you'll recall, opponents of BLM took to social media this year to protest the movement, dubbing themselves "All Lives Matter.") The question is an important one, but it's based on philosophy more than it is based on policy. Argue over titles all you want, but at the end of the day only specific policy measures on the federal level are going to improve the lives of African Americans in this country. What Will You Do As President To Protect People Of Color From Police Harassment? Trayvon Martin, Michael Brown, Eric Garner, Freddie Gray. They are only a few of the black lives lost in recent years. African Americans are twice as likely to die at the hands of police as white Americans, according to The Guardian, though the statistics are incomplete. Police officers are generally protected by the law in these cases. Harassment by police is a common experience of many Americans of color, and has created a tense relationship between law enforcement and minorities. 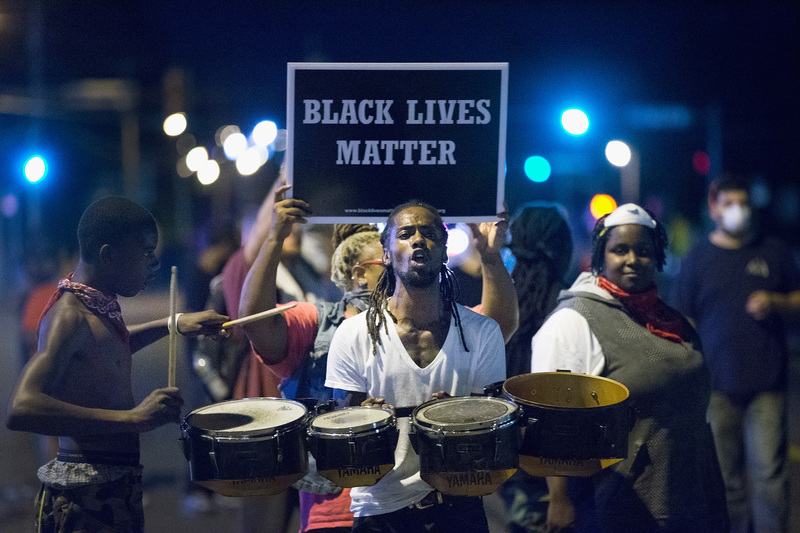 With all the momentum the Black Lives Matter movement has created, presidential candidates should be able to deliver a meaningful proposal for how to repair this relationship and protect American lives. Will Minimum-Sentencing & Drug Laws Change Under Your Presidency? According to the Sentencing Project, 2.2 million people are incarcerated in U.S. prisons. We lock up more of our citizens than any other major country, followed by Russia. More than 60 percent of those prisoners are black or Latino. Mass incarceration has disproportionately affected the black and Latino populations in the U.S. ever since former President Bill Clinton signed a crime law in 1994 that issued minimum sentences for drug offenders. According to The Wall Street Journal, 50 percent of inmates of federal prisons were convicted of nonviolent drug crimes. President Obama visited a prison over the summer, inciting speculation as to whether he would rectify drug sentences before the end of his presidency. Recently he did announce a future release of 6,000 nonviolent offenders, which is certainly progress. But this is not enough. The Fair Sentencing Act, passed in 2010, ended minimum sentencing for crack-cocaine possession. It was a good first step, but did not retroactively change sentences for those already incarcerated for carrying the drug. And although states are gradually taking steps toward legalizing marijuana, thousands of non-whites are arrested each year for carrying or selling it. African Americans are 3.73 times more likely to be arrested for marijuana than whites, according to the ACLU. It's an inconsistency and a hypocrisy that the next president needs to address. How Will You Improve Inner City Schools? Although the United States is pouring money into education, expectations for black and Hispanic students are still lower than they are for white students. According to U.S. News & World Report, black students score lower on tests, are held back three times as often, and are suspended or expelled three times as often as their white peers. Teachers in schools with predominant black or Latino populations are paid less and trained less than those in other schools. While some grassroots-level work in education has worked to change this, federal policy in recent administrations have not supported their efforts. Former President Bush's "No Child Left Behind" is recognized by teachers nationwide as destructive, and President Obama's "Race to the Top" initiative has not achieved the goals it set in 2009. Teachers are increasingly saying the next administration needs a new plan, one that addresses systemic poverty and does not merely put an economic band-aid on failing schools. What Will Be Done To Support Black Women Under Your Administration? While the Affordable Care Act did bring health care to millions of uninsured black women, the Center for American Progress reports that these women also need paid maternity leave, wage increases, and affordable non-discriminatory housing. More than half of married African American women are breadwinners in their households, according to the report. The organization Black Lives Matter also advocates for the rights of queer and transgender women of color who, according to its website, are "disproportionately impacted by trans-antagonistic violence." The town hall meeting needs to know exactly what kind of legislation will be passed to protect these vulnerable people. As President, What Will You Do About De Facto Segregation In America's Cities & Schools? In the 1950s post-Brown v. Board of Education, the U.S. began busing policies to equalize the racial makeup of schools. White Americans in turn flocked to the suburbs or enrolled their children in private schools. Now, gentrification of formerly low-income neighborhoods are displacing minorities in urban areas, according to The New York Times. If the U.S. claims to be a melting pot, it must foster environments where people of all races, ethnicities, and religions engage with one another. These are only a few of the very specific questions we should hear at the Democratic town hall. There are so many difficulties and disadvantages people of color face in the United States every day, and by no means do I want to suggest these are the only five issues at stake. But it's a start towards understanding what these politicians actually intend to do as president to make liberty and justice the standard for all its citizens.